In one study simplifying the lives of children with ADD had better results than medication like Ritalin. Why do our children need simplification? Too much information, growing up too fast, endless activities, a culture of excess. 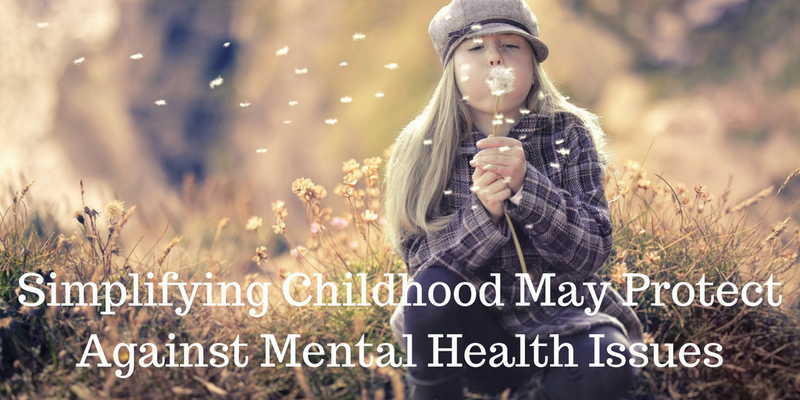 Find out what you can do to protect your child from mental health issues by reading this article.